For the weekend look, I kept it quite casual with some blue denim ripped jeans from Zara and a breton jumper, but dressed it up a little bit with some patent black and gold loafers and a snuggly polka dot scarf. I added a pop of colour with a red Coach bag and would pair the whole look with a parka or a padded coat. For the weeknight look, I started with my favourite jumper from Coin 1804. It's got a button up back and beautiful fluted sleeves so can be dressed up or down depending on what you want. I styled it with a polka dot swing skirt from French Connection, some knee-high black boots and a cosy oxblood snood. For the weekday look, I kept it semi-casual with a one size fits all striped dress from Brandy Melville. It's great worn as a piece on it's own in warmer weather but in winter looks really good with some cable knit tights and a long-line cardigan. I added my comfy Toms boots and a grey pom pom hat for some extra warmth. 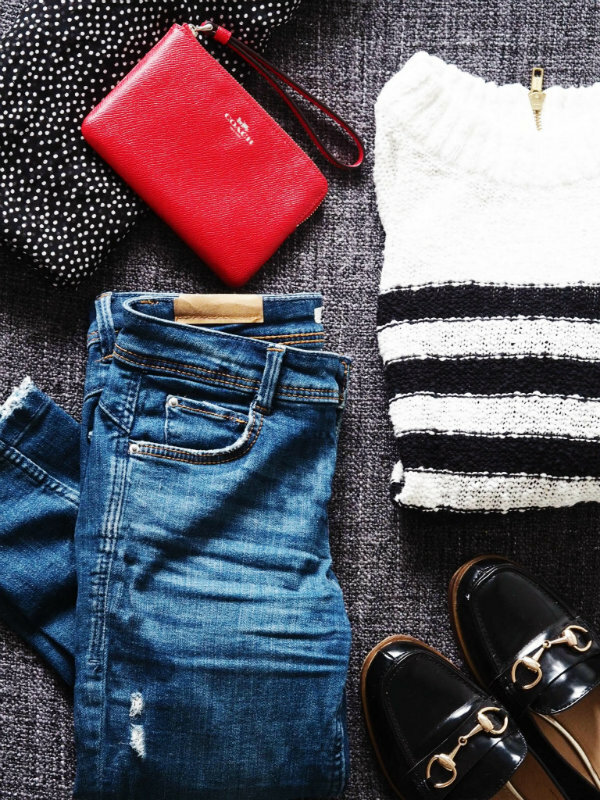 What's your favourite cosy winter style? Cool outfit inspo Rosanna! Thanks for sharing! I like the weekend look more. Love the striped dress in the last look, really simple but chic item! Cool outfits Rosanna, I love them all! I like the first one look.. lovely articles ..
Oh my goodness, ALL of these pieces look so comfy and cozy! And I love the colors too. I officially want to raid your closet! I love the weeknight look as it's more dressy. love these style ideas! Those first shoes are amazing! Feeling good is a must, cause the world is so crazy outside, so we should try our best to feel good! I loved the grey pompom hat! Hope you have a very beautiful week! 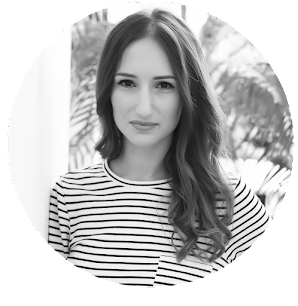 Dear Rosanna, I see again you know how to be dressed perfect for each occasion even in winter! All the 3 combinations you show here are fantastic and a proof for your taste. I'm so into these winter vibes, babe! Great fashion ideas, I really like the weekday and weekend look! 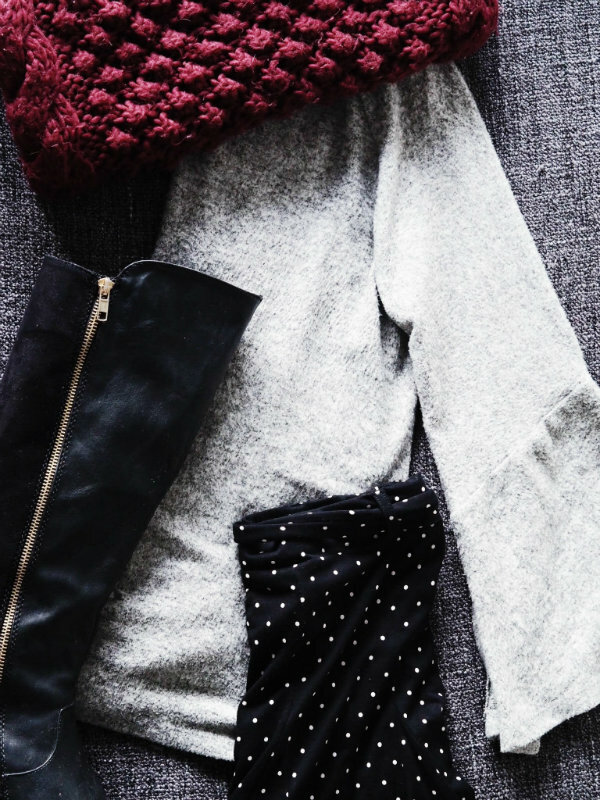 You have such pretty and cozy pieces, girlie! I really love that striped sweater. I've been wanting to add one to my wardrobe for some time now, they're so versatile! Thanks for sharing and I hope you're having a great week so far! 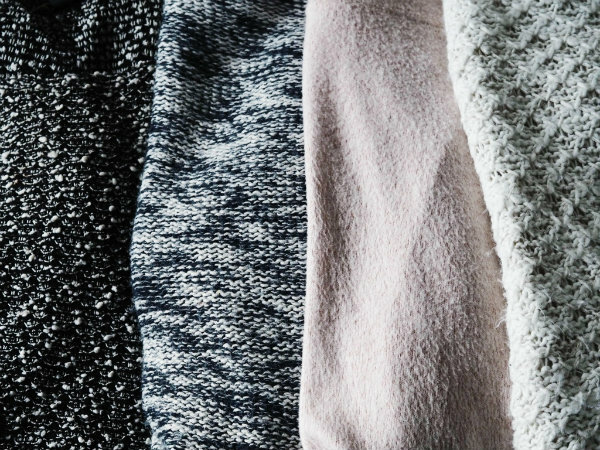 Love all of these, I love that they're so stylish as well as cosy! I love all your suggestions! 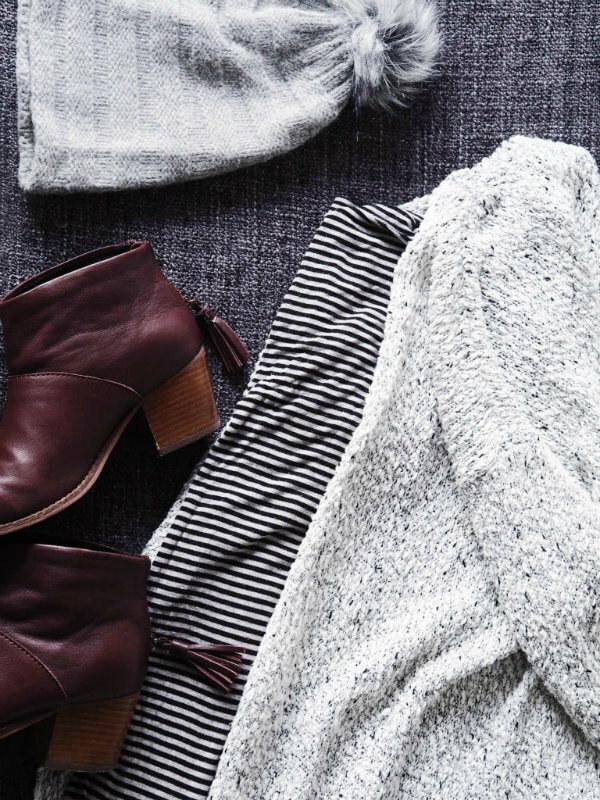 It all looks perfect for a cozy winter style. This is my favorite thing about sweaters (aside from the fact that they're warm and cozy) they can be worn pretty much anytime and anywhere and be perfect for the occasion or whatever!